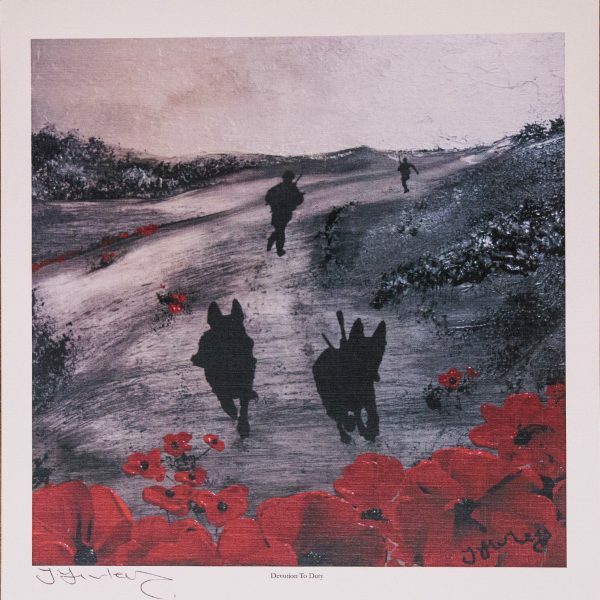 We are thrilled to announce the auction of ‘Devotion to Duty’ by one of the country’s foremost Remembrance artists, Jacqueline Hurley. 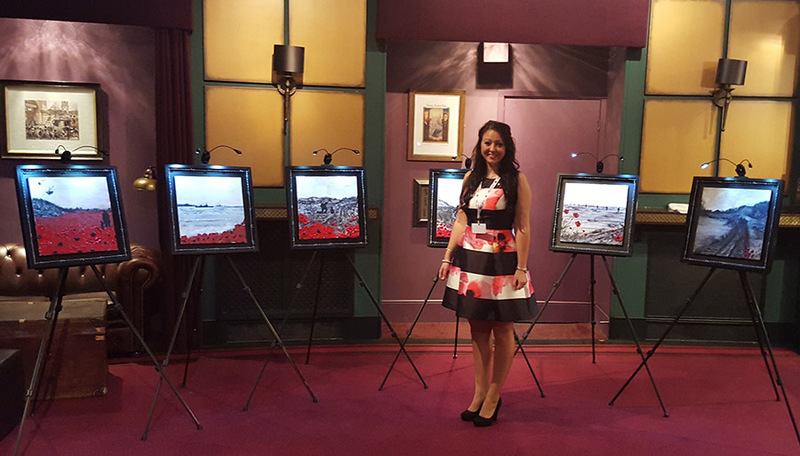 Jacqueline Hurley is best known for her powerful and poignant War Poppy Collection. 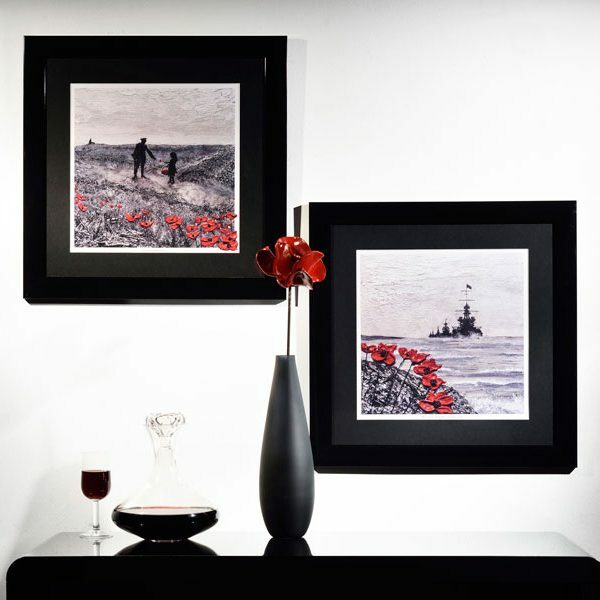 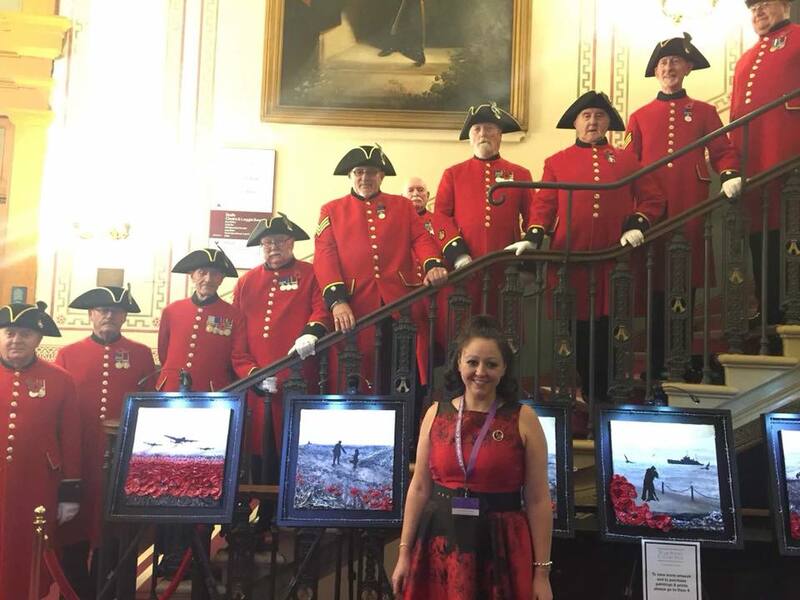 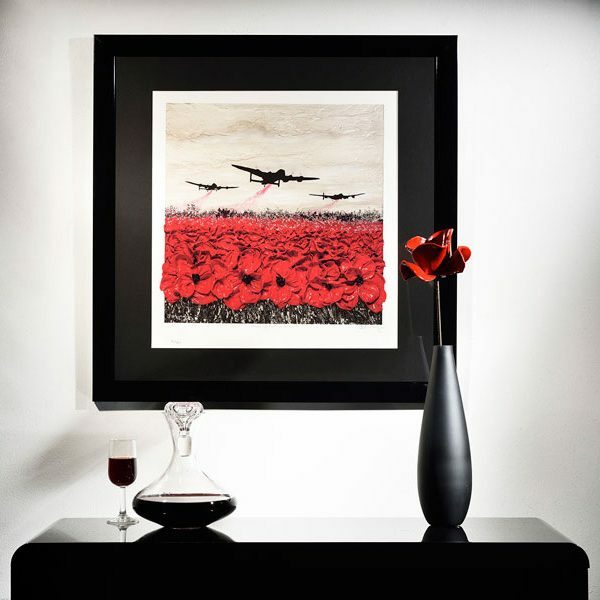 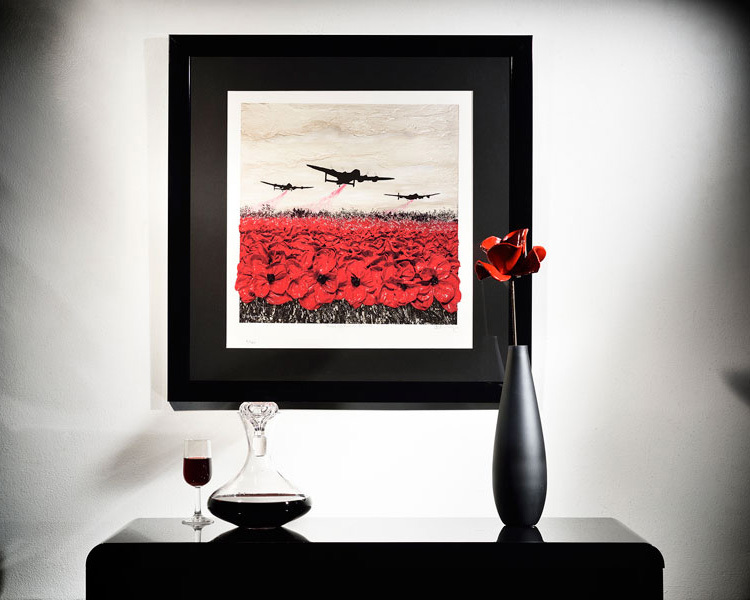 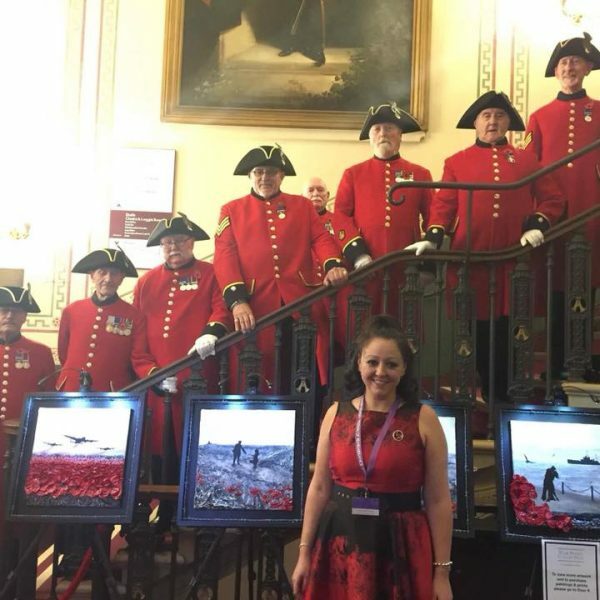 Her military poppy prints have been well received by an international audience, and have very quickly proved extremely popular; she is now widely regarded as the country’s foremost Remembrance Artist. 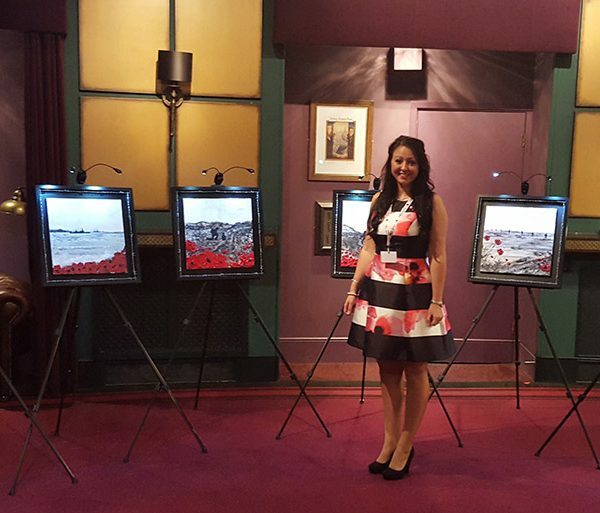 Jacqueline paints in both expressionism and impressionism styles. 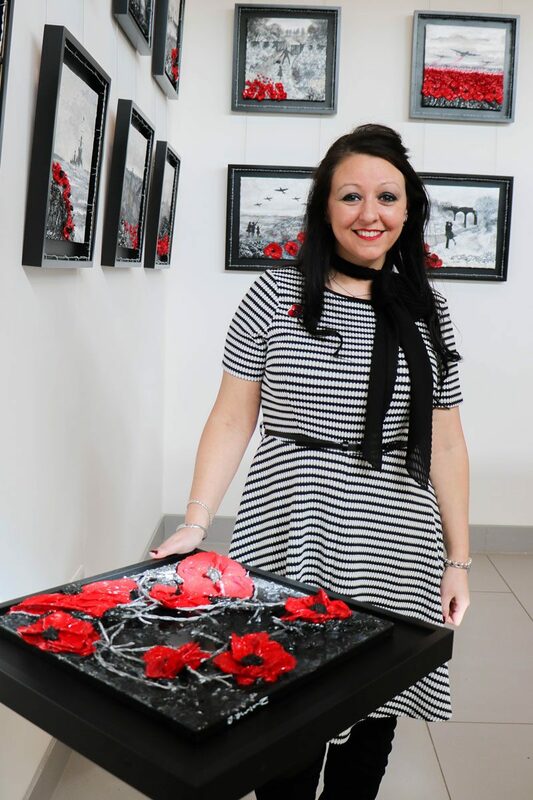 Her original works are painted impasto in acrylic, using texture to create mood and depth, with red remembrance poppies juxtaposed against gritty impressionistic landscapes. 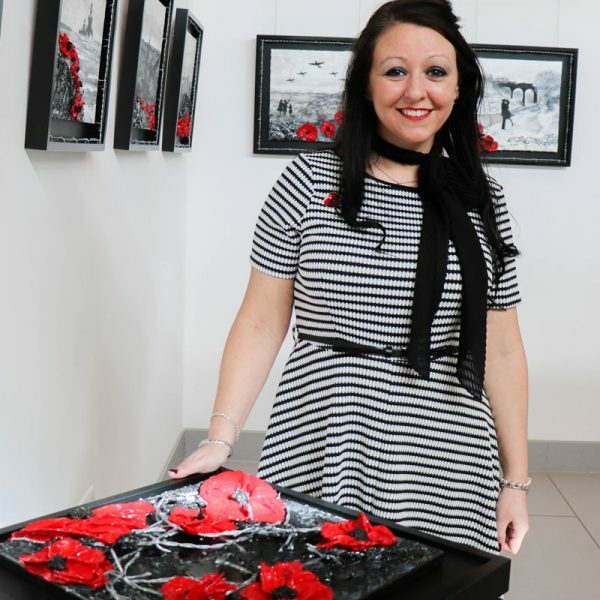 Her paintings feature silhouettes which help her audience connect with the works in a more personal, emotional and sentimental way; encouraging the people she paints for to relate to the subjective nature of the paintings. 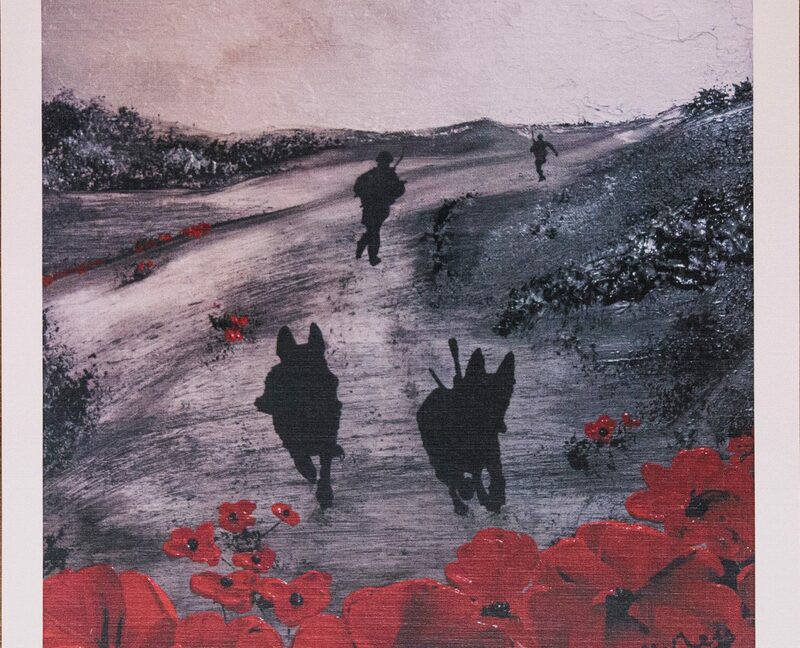 It is hoped that the auction of this poignant and much loved piece of artwork, ‘Devotion to Duty’, will go some way to raise funds to enable the start of the build of this important memorial to honour our working dogs. 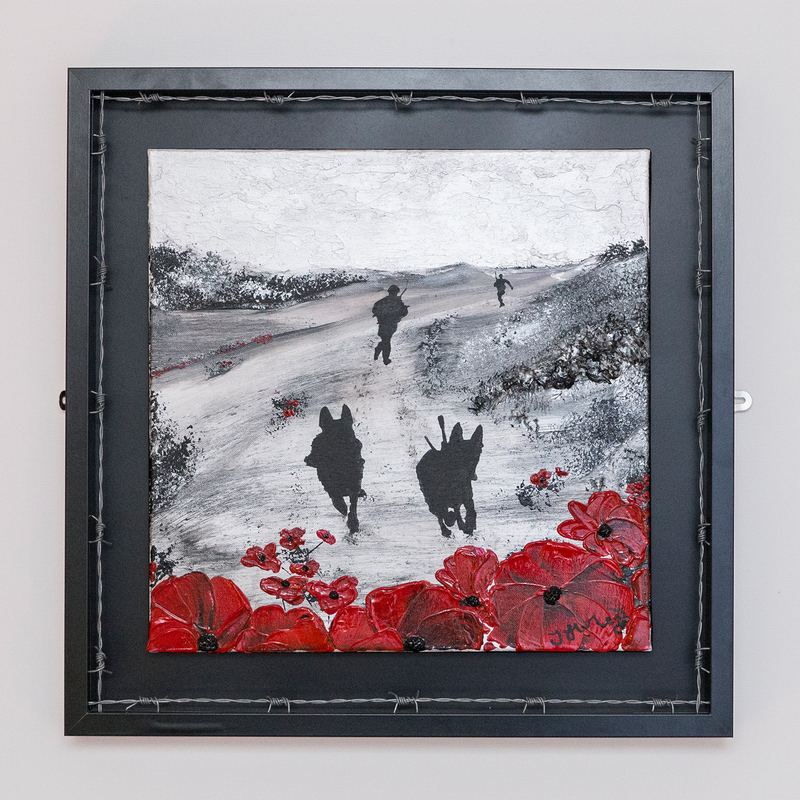 The auction will take place on the evening of Saturday, 18th May 2019 as part of our Auction and Comedy Dinner. 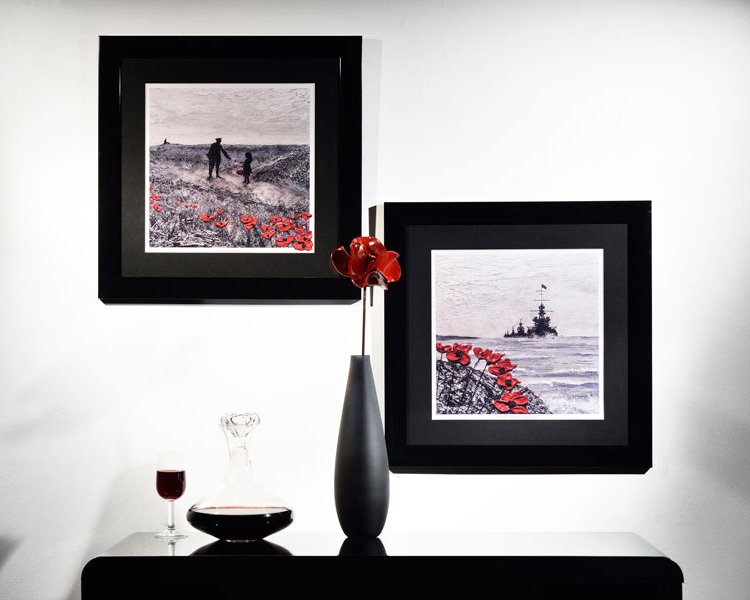 To find out more about the auction and our extra special evening, please click here.